The wide-ranging European perspectives brought together in this volume aim to analyse, by means of an interdisciplinary approach, the numerous implications of a massive shift in the conception of 'work' and the category of 'worker'. Changes in the production models, economic downturn and increasing digitalisation have triggered a breakdown in the terms and assumptions that previously defined and s… haped the notion of employment. This has made it more difficult to discuss, and problematise, issues like vulnerability in employment in such terms as unfairness, inequality and inadequate protection. 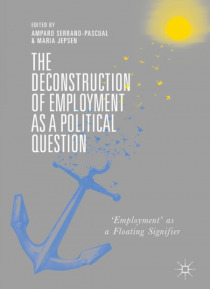 Taking the 'deconstruction of employment' as a central idea for theorising the phenomenon of work today, this volume explores the emergence of new semantic fields and territories for understanding and regulating employment. These new linguistic categories have implications beyond language alone: they reformulate the very concept of waged employment (including those aspects previously considered intrinsic to the meaning of work and of being 'a worker'), along with other closely associated categories such as unemployment, self-employment, and inactivity.